Dear Shoppers: Sunday is the last day for Aéropostale at 15 West 34th Street. 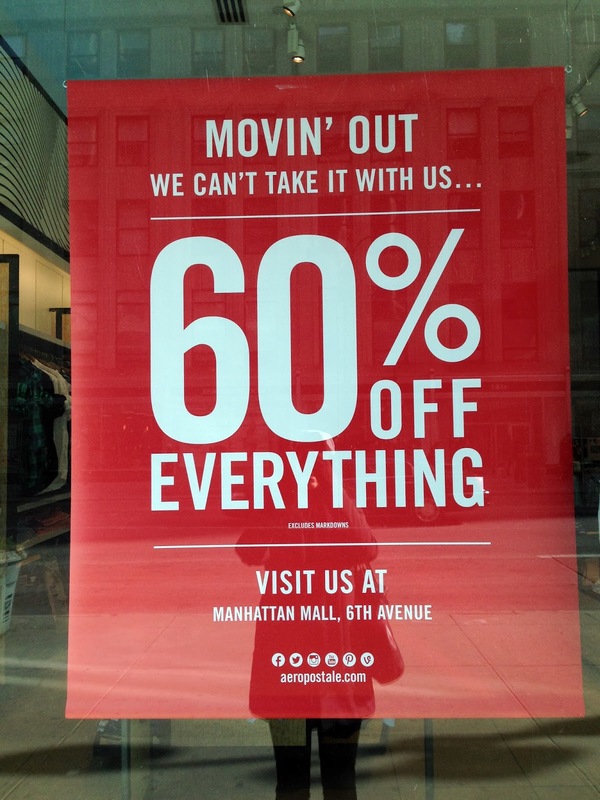 Till then, everything in the store is 60% off (excluding markdowns). 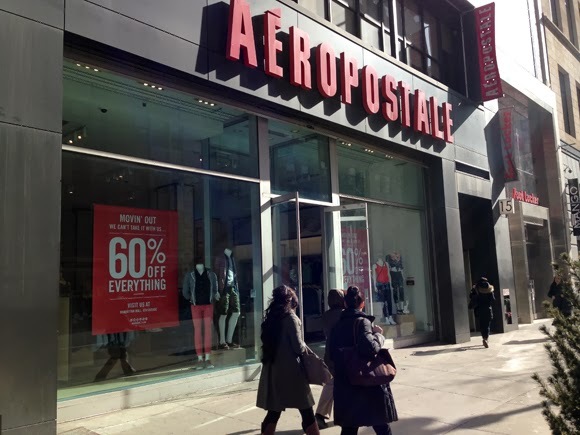 We are sorry to see Aero go, but fans can still shop the Manhattan Mall store at 33rd and Sixth Avenue, where they will also find Aéropostale's tween store, P.S. from Aéropostale. Yes, I always stop in at P.S. when I'm at Aero in the mall because it is freaking ADORABLE. I'm ecstatic my girl is now able to wear P.S. as I can now live vicariously through her cheetah-print muscle tanks. Next up: Who will be moving in? No word on this yet, but stay tuned.